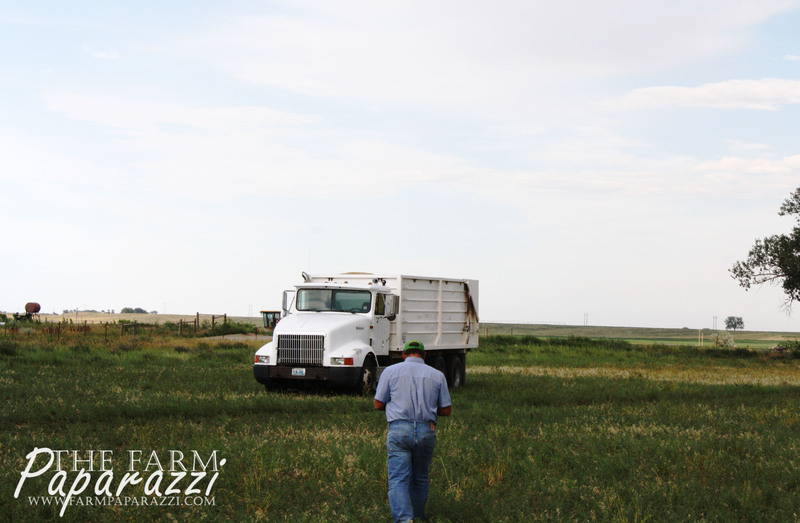 I’ve talked about combining the barley, but my story stopped at the end of the field. Leaving you with a cliffhanger just wouldn’t be cool at all! And I’m known for being cool, so I’ll tell you more of the story. It’s about upholding my reputation, really. 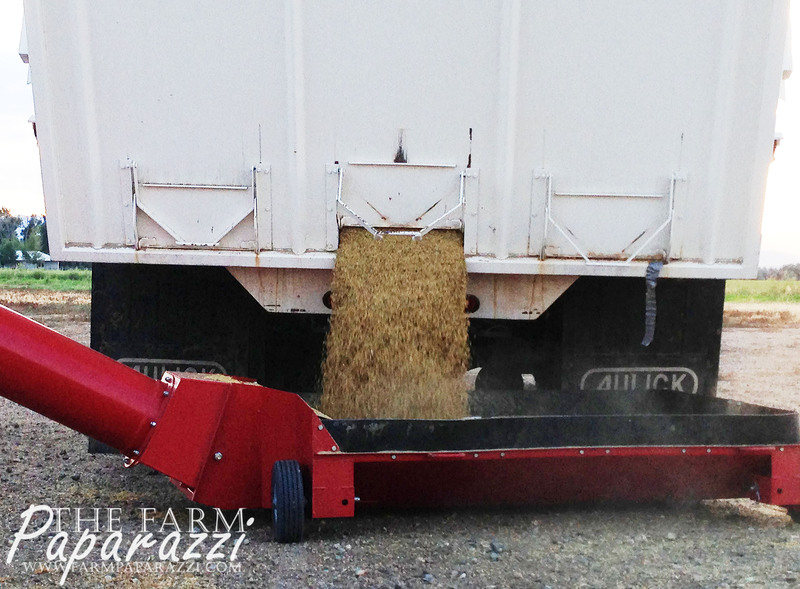 So, we combine the barley with a – get this – combine. 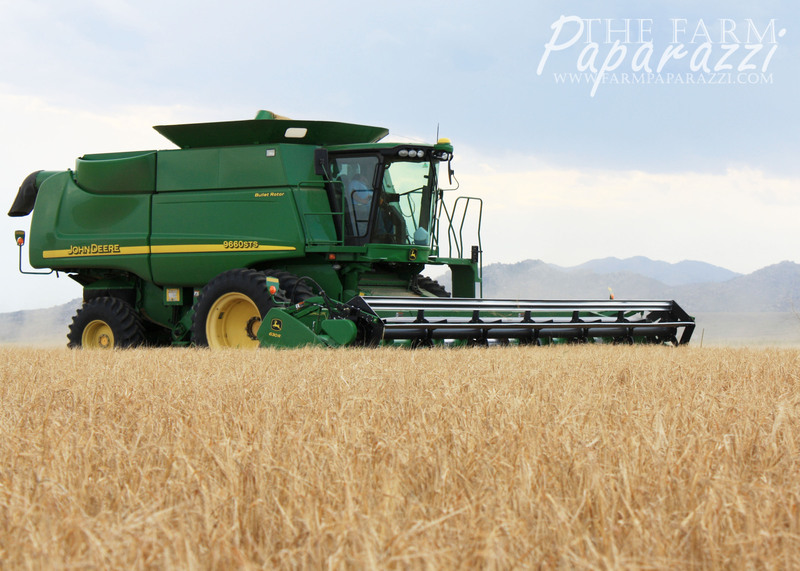 Every time I type “combine” on this site I worry that you’re reading it as if we were combining two things together. As in, a recipe tells you to combine the butter and sugar until well mixed. But, I hope you are all savvy enough to know I mostly mean combine, as in the big, honkin piece of equipment I’ve pictured above. I feel better now that all the confusion is cleared up! Or is it? Oh, never mind. 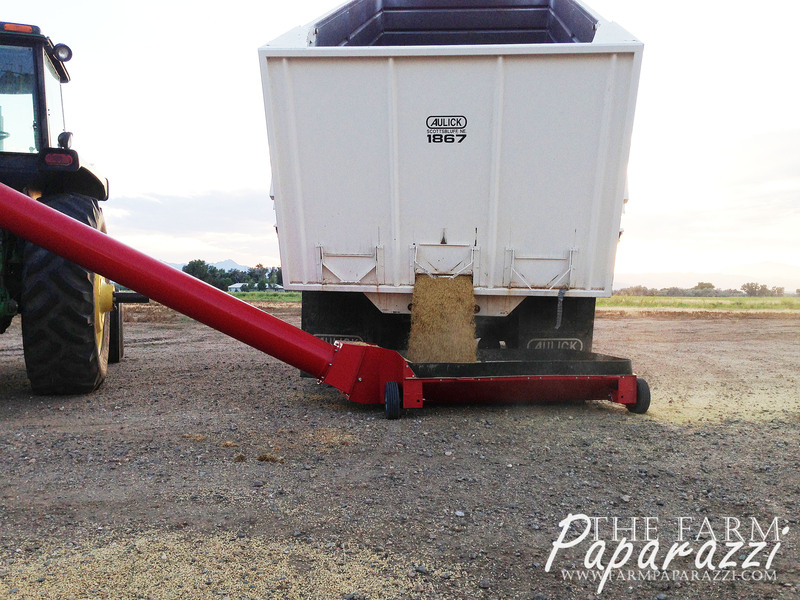 Once the combine threshes the grain, we dump it on the grain cart. Then the cart moves at a lightning speed of 7 or 8 miles per hour to the end of the field and dumps on the trucks. Well, it feels like lightning speed after moving 3 miles per hour alongside the combine. 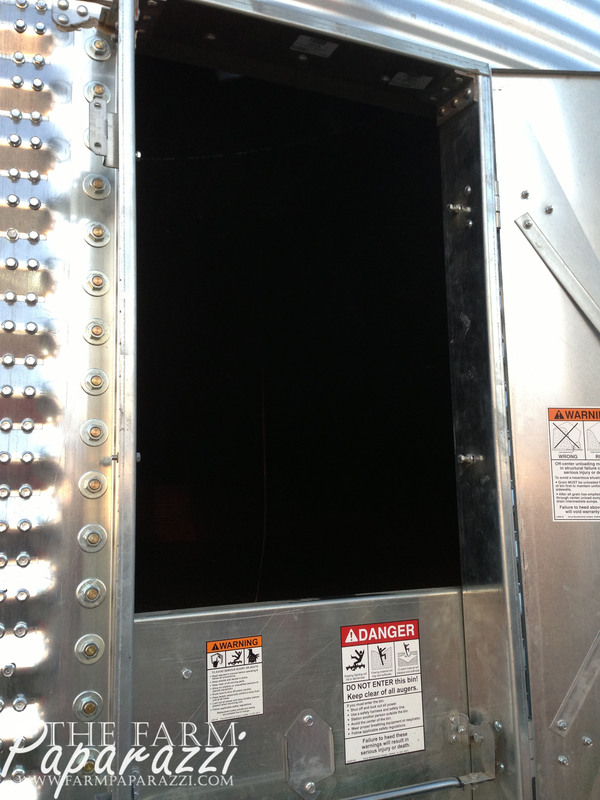 Then the truck travels to our grain bins. 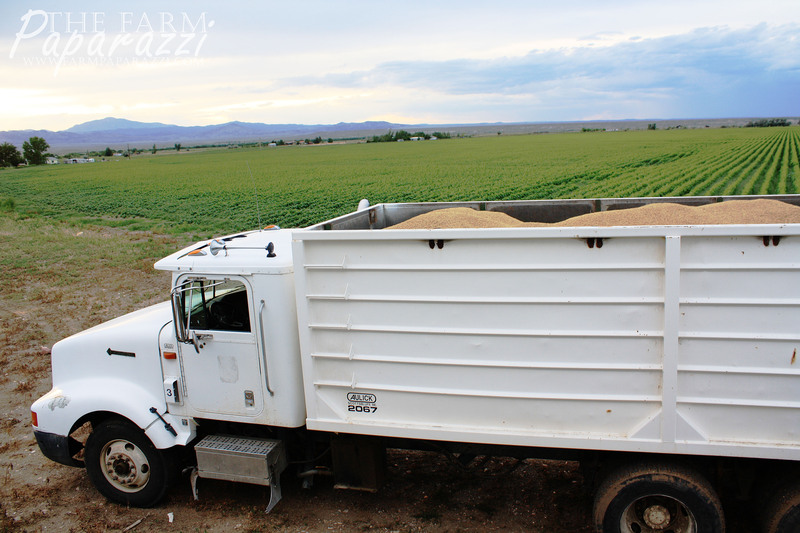 The driver backs the truck up to the hopper on the auger, lifts the hydraulic truck box, turns the auger on, opens a gate on the back of the truck box and monitors the stream as it pour in. 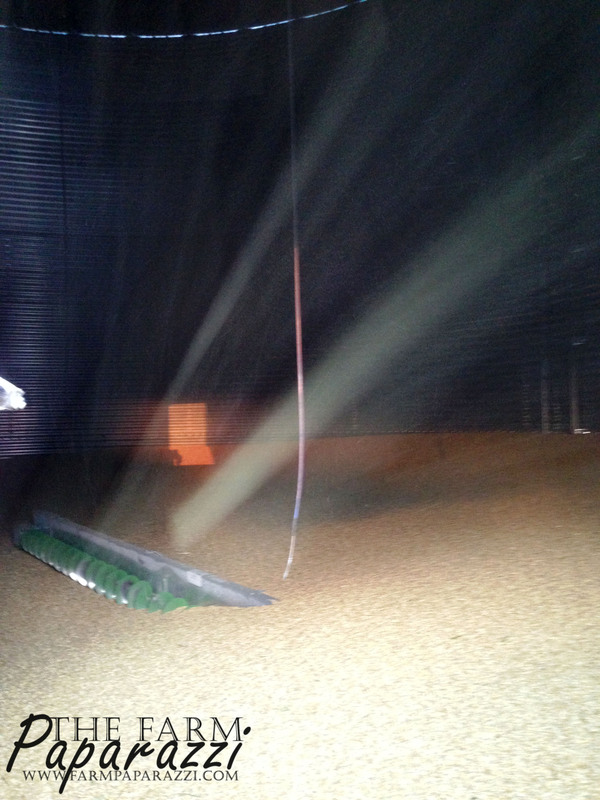 The auger is like a corkscrew inside a tube and it moves the grain to the top of the bin and dumps it in. The bin has “spreaders”, which evenly distribute the grain. Power is provided by a tractor, to which the auger is attached. Upon my observation, a shaft thingy attached to the tractor spins really fast and the auger starts to spin. Insert technical terms and explanations here. 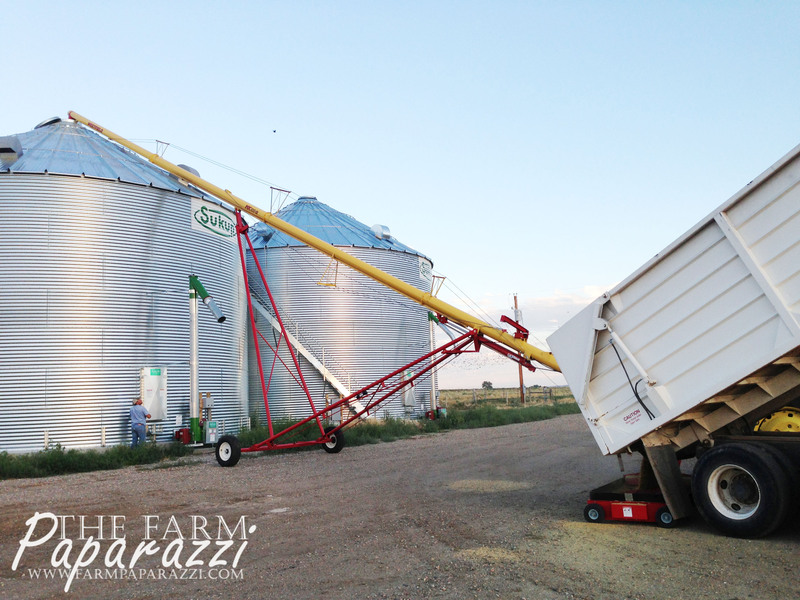 The auger can be raised to reach the proper height of the bin and lowered once away from the bin. It works best if you have someone at the very peak of the bin to guide the person backing the auger. Climbing to the top of a bin to guide an auger will cause a young farm wife with a terrible fear of heights to eventually get over said fear of heights. I think. 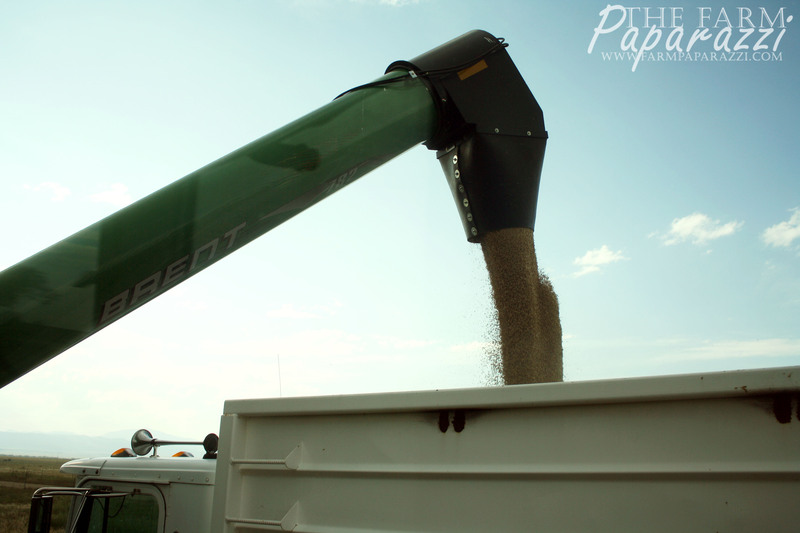 Before the grain bin gets too full, we can peak our heads in to see what it looks like. Note: The auger and spreaders are off. Otherwise we’d get pelted in the face with grain. Looks good! Nice and even. 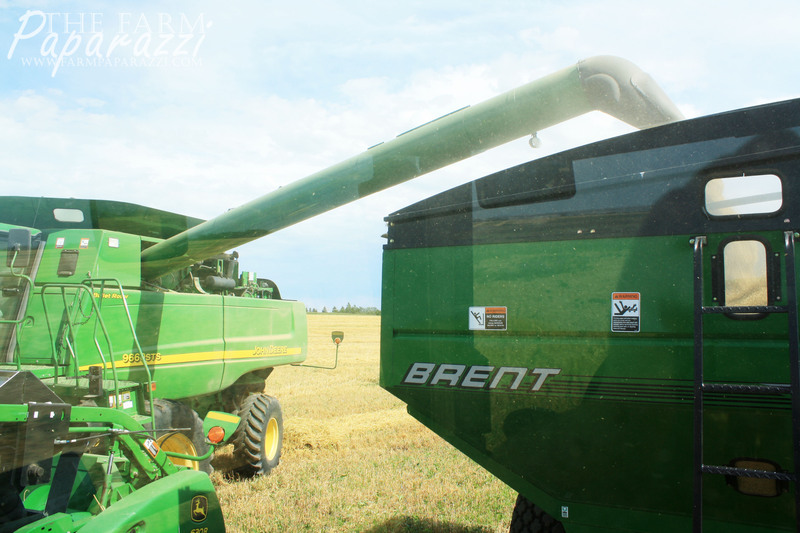 You can even still see the floor auger, which moves the grain back up the unload auger on the outside of the bin to fill trucks when it’s time to go to market. Auger, auger, auger. And I’ll say it again. Auger.